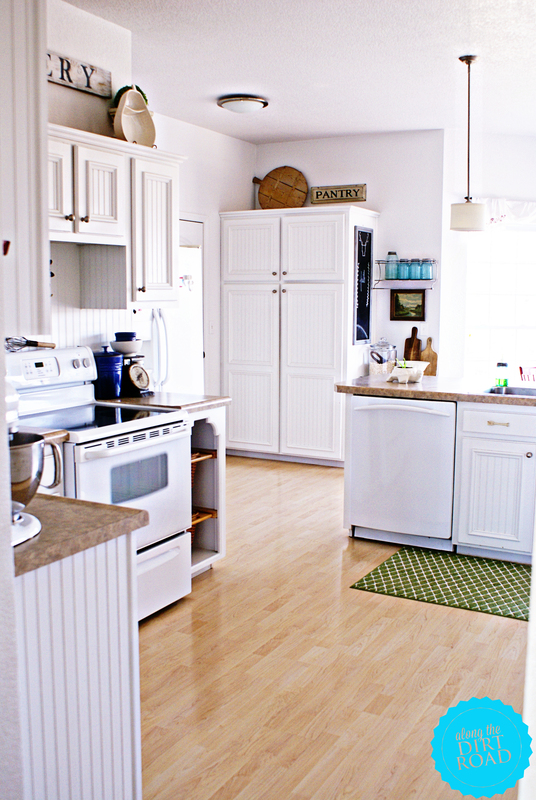 Do you remember last summer when I asked for a beadboard backsplash for our kitchen? I was going to be totally satisfied with that bit of white and leave the Russet Rose paint. Yeah…um…that didn’t last long. You see…the thing was, I was seeing all of these beautiful white kitchens and they were calling to me. “Kelli…Kelli…paint your kitchen.” Okay, maybe not so much, but close. We have always had white cabinets in this home. I love those. 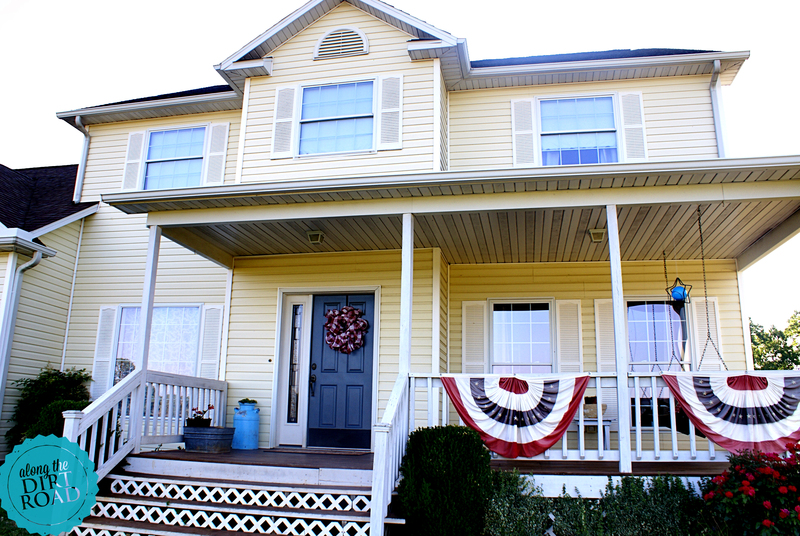 When we built this house, Rachael Ray was selling tons of orange and everything was bright. Well guys, now even Rach has a white studio kitchen. Lest you think that I am totally shallow with no mind of my own, let me throw this in. I have always loved white. Matter of fact, there has always been lots of white in our farmhouse. 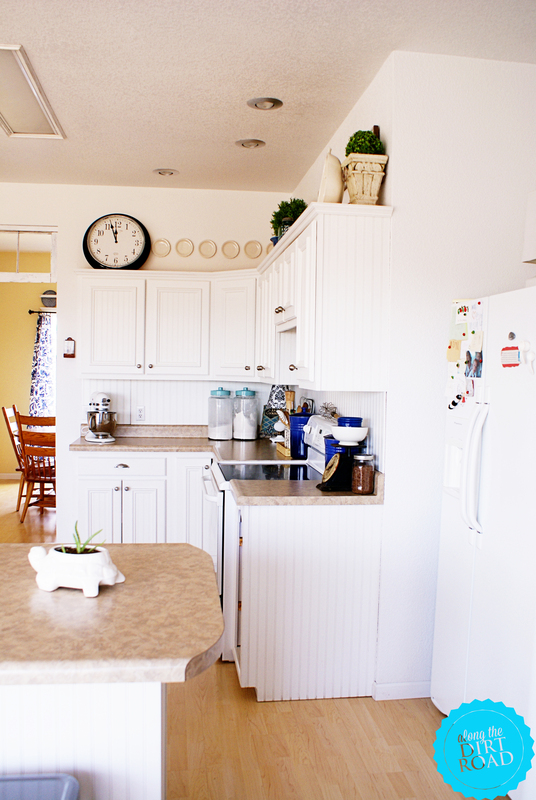 My main reason for painting our kitchen was the fact that I felt like white just went with the style of the home. We live in a house that, I believe, the plan was Early American Farmhouse or something like that. The Russet Rose just felt too Brady Bunch to me with the “farmhousey” thing going on. I wanted more of a Walton’s vibe. You catch my drift? Or as my husband and his cousin would say…”Do you smell what I’m stepping in?” Yes. I know. When my husband put up the beadboard I was in love. (Yes…I was already in love with the Mr.) Then when we painted, I was over the moon. (It doesn’t take much.) It’s not for everyone and some of you will cry because I covered up that beautiful, rich, color. It’s just that the beautiful English farmhouses…well…blame them. It’s their simplicity that speaks to my soul. Kelli, Love it… all so Bright and cheery, I can see John Boy sitting at your table. Who did your cabinets if you don’t mind me asking ? Sis. B….Thank you! I am enjoying it very much! It’s amazing what a little paint will do. ~k. 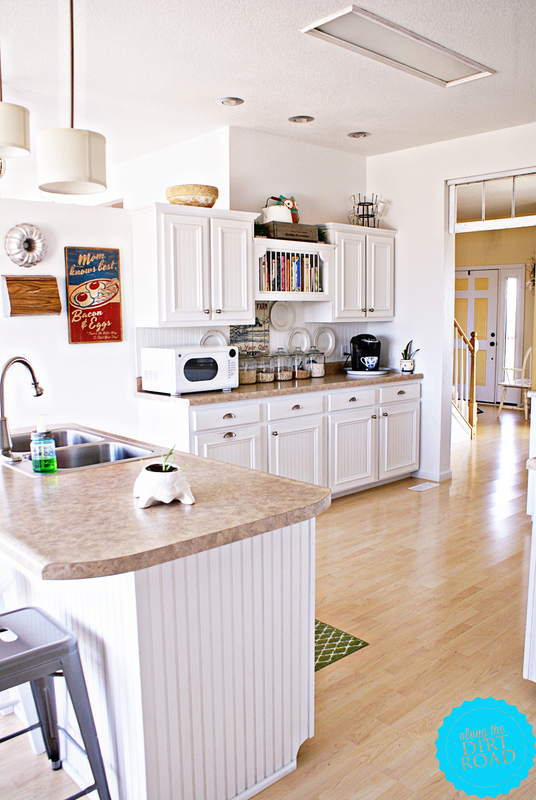 I love your blog (and your kitchen!). It’s like pulling up a chair and having a chat! Meredith… Thank you! I’m so glad that you enjoy it. That makes me very happy to hear! ~k. Kari… Thank you my friend. I’m glad that you like it. 😉 ~k. Wow! I’m impressed! I wasn’t sure if would look as inviting as the Russet Rose, but it looks very dramatic now…and bright…and cheery. Awesome! B. Thank you! I am really enjoying it. I don’t miss the other at all. I was afraid that I would. 🙂 You need to come and see it in person. 🙂 ~k. That was beautiful blog post! Thank you so very much and for all of the kind words!!! I loved it!